Utilizing a 4 color press, Flexpak can provide printed wrap up to 144″ wide. Repeat of print impression can be up to 48″ with detailed print on woven material. 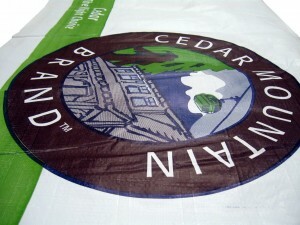 Printed lumber wrap comes on 2000′ rolls, with 12 rolls per pallet. Minimum requirements for printed lumber wrap is currently at one pallet. 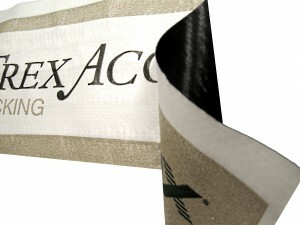 Price breaks for wrap will be dependent on material width and order frequency. Printing plates are usually purchased by the customer as a one time fee. For every color in a print there will need to be a specific plate. With lumber wrap, prints are located on each side of the roll, bringing two plates per color. A four color print will have 8 plates and a 1 color print will have two plates. Cost of plates for printed wrap is dependent on the size. Price can usually be found by estimating the square inches required. Flexpak can work with you to provide a quote for printing plates and printed wrap. See more information on the printed rolls section on this site. 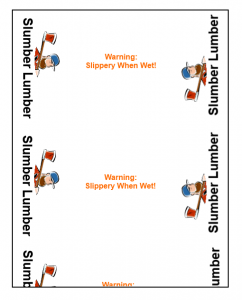 To understand how prints are produced on lumber wrap see the printed layout example. 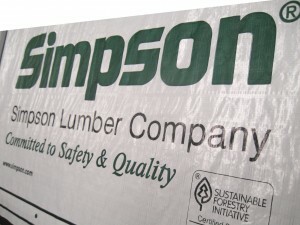 Print logos will be in opposite directions so they are read in the right direction when covering a load of lumber or wood. Top sheets will have smaller print bars to cover the top of a pallet. Printed warning labels or instructions can be printed in the middle of the woven wrap, which in turn will appear to be on top of the pallet for the end consumer. Several companies put warnings for “slippery when wet” or “do not stack” on top of their pallets. 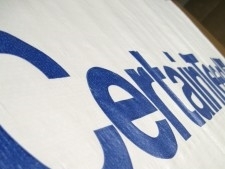 Some companies will put application instructions on their printed wrap.